Trump's family came from Germany and Scotland. Where do you get Scandinavia? Last edited by KC; 19-12-2018 at 01:11 PM. Trump's failure to sign the government funding bill over his demands for his wall funding, makes the US less safe than if he signs it. The first effect of the Trump shutdown is that border security agents will be forced to work without pay, over Christmas and into the new year. The Republicans control both Houses and the Presidency but failed to keep the government funded. Last edited by Edmonton PRT; 21-12-2018 at 06:50 AM. They work for pay. They just get their cheque later. Who gets paid each day for the work they did that day anyway? It’s usually every two weeks that you receive the pay. So in a way it is a false statement. Tell that to your mortgage company and your credit card company. These people may not get paid for weeks or months. Most people cannot afford missing a single paycheque, let alone several. Last edited by Edmonton PRT; 21-12-2018 at 09:59 AM. If their payday falls during the shutdown period, there's nobody working to cut the cheques, neither paper nor direct deposit. Employees that are sent home from work, are typically paid for those days once the 'shut down' is over. Not a bad deal ! My understanding is that a lot of the people that worked for Trump in the past, never ever got paid. Moreover government employees have a well earned reputation for brown bagging their lunches* so missing a few paycheques shouldn’t be a big deal for most of them. *When there was talk of spreading employees around downtown Edmonton, I recall hearing pushback from the private sector restaurant owners that they’d lose business if cost conscious government employees moved in near them. If this all leads to a wall it will be worth it. I used to laugh at the idea but watching the news and border patrol shows I can see it would be nice to have a controlled border. Don’t worry it will still have all the access for legal crossings. Just my opinion. Trump states today that he knows more about wall and border tech than anyone. He also knows more about ISIS than General Matt and anyone who might replace him. Such a very stable genius need no information or advice from anyone. He can run the entire government himself. We should build one along the 49th and get the states to pay for it. Trump is off his meds this morning. He is lashing out and claiming to have executive powers that he does not possess. Trump is such an excellent negotiator, only the best deals. He buys a hole in the ground and then when he realizes that he is in a hole, his solution is to dig faster and deeper. Last edited by Edmonton PRT; 28-12-2018 at 08:05 AM. His followers are going to love him for saying this. Last edited by KC; 28-12-2018 at 05:27 PM. Trump responds to reporters' questions about his concerns for government employees who could be off work for months, who have rent to pay, medical bills and need to buy food. He told them, "let them eat wall..."
Marie Antoinette would be so proud. Increasing prices for Americans on goods from Mexico is NOT "Mexico will pay for the wall". It is a tax on the American people. The question here is: Is Mexico paying for the wall through a renegotiated trade deal, as Trump claimed? There are a couple of immediate problems with Trump’s statement. First, the renegotiated North American Free Trade Agreement is not in effect yet. Trump rebranded the updated NAFTA as the United States-Mexico-Canada Agreement (USMCA), but it still needs congressional approval. And the deal, literally, does not include any language saying Mexico will pay the United States for the wall. In addition, U.S.-Mexico trade has been duty free for more than a decade, and the renegotiated trade deal does not add new tariffs on goods coming from Mexico to the United States, said Lori Wallach, director at Public Citizen's Global Trade Watch. "I do not see any scenario under which the U.S. government gets more money from Mexico per se — and even if the U.S. tariffs had been raised, that would be paid by Mexican importers not the Mexican government," Wallach said. Trump’s claim that wall costs will be covered through trade isn’t new. But it is wrong. Back on the campaign trail, Trump claimed that Mexico can afford to build a wall because the country's trade deficit with America is billions of dollars. We rated that False as trade experts said there is no connection between the size of the trade deficit and finding money to build the wall. The trade deficit is based mostly on trading and investment by private individuals and companies — not the government itself, an expert then told us. Trump’s latest claim hinges on changes negotiated for NAFTA by the three parties involved in the trade agreement — the United States, Mexico and Canada. As we’ve already said, the renegotiated version of the trade agreement is not in effect yet. It has to clear several logistical hurdles and be approved by the legislative bodies of all three countries. If approved, it would likely take effect around 2020. Until then, NAFTA remains in place. Last edited by Edmonton PRT; 07-01-2019 at 08:25 AM. Ha Ha! It's not like the U.S. has never produced a homegrown terrorist. The boy who lied and cried "Wolf!" will do so one more time again on national TV on Tuesday night. I hear that it'll be simucast in English. 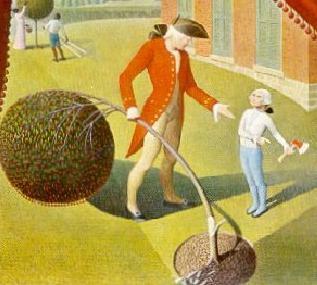 "Father, I cannot tell a lie, the previous four Presidents all told me they wanted to cut down the cherry tree too." Trump claimed ex-presidents told him they wanted to build a wall. Four of them say it’s not true. The president has made 7,600 false or misleading statements since he became president, and some have proved more difficult than others to fact-check. This one was not. There are only four living ex-presidents. The Washington Post reached out to them to see whether they ever told Trump that a border wall should have been built before he was in office: All said they hadn’t. A spokesman for former president George H.W. Bush declined to comment, saying it was too soon for Bush, who died in November, to be “dragged into such debates." It is true that border walls hold a special place in former president George W. Bush’s legacy. The Secure Fence Act, which he signed into law, paved the way for 700 miles of fences along stretches of the border. But spokesman Freddy Ford told reporters that Bush had not discussed the wall with Trump. President Donald Trump and his officials persist in promoting the discredited notion that suspected terrorists are pouring into the U.S. from Mexico by the thousands. THE FACTS: If they’re driving in through border crossings, no wall would stop them. But as to his broader point, U.S. officials have not cited evidence of a terrorist influx from Mexico. State Department reports on terrorism have expressed more concern about Canada, which unlike Mexico has been home to “violent extremists inspired by terrorist groups such as ISIS and al-Qaida and their affiliates and adherents,” as it said in 2017. When it comes to land crossings, Canada has more often been the source of terrorism suspects entering the U.S., though not in great numbers. By far the majority of people who arouse concern try to enter by air. The libertarian CATO Institute (Founded by Charles Koch, CEO of the conglomerate Koch Industries) said that from 1975 through 2017, seven people who entered the U.S. illegally from “special interest” countries — states tied at least loosely to terrorism — were convicted of planning attacks on U.S. soil. None crossed from Mexico. They came from Canada or jumped ship in U.S. ports, and all before special interest countries were classified as such. The plots were foiled and no one was hurt. Last edited by Edmonton PRT; 08-01-2019 at 06:23 AM. Sarah Sanders claims that 4,000 people on the terrorist watch list were stopped (not arrested) at the southern border in the past year. The actual number? 6. And being on the list doesn't mean you're a terrorist. Just ask the late senator Ted Kennedy about that. He was misidentified as someone who was on the selectee list, a list of people that are given additional security screenings. No, he wasn't on it but he was mistaken for someone who was. So there's no proof that any of those six at the Mexican border were arrested or turned away. The Democrats have been given a gift. They get in the last words. Surely the clown should have expected for the other side to have their say? It's called balanced reporting. But then, he's never been interested in that. Prepare to be shredded, genius. I've got the popcorn in. Story Daniels offers counter programming to Trump tonight. Hmm, yeah, that didn't happen. Pelosi and the old guy made CNN cringe! 1% of their budget to keep illegals out, is it worth it? I do agree that Trump was so uncompelling. So where was Trump's trump card? No crisis, no national emergency, nothing new, more cherry picking, more contrived statistics and empty speech that he was totally weak. He was stiff, slow and monotone. He had no cheering crowds to feed off of. No reporters to counterpunch. He looked desperate and droned on and on without making a point. He looked sad and defeated like another deal slips through his greasy fingers. His lame duck presidency begins tonight. Last edited by Edmonton PRT; 08-01-2019 at 08:37 PM. The speech was filled with a predictably long list of lies. Trump ticked through a long list of gruesome murders in the speech that he said were committed by undocumented immigrants. But while individual stories might be horrific, there is no evidence of a crime wave perpetrated by undocumented immigrants. Crimes stats don’t suggest that people residing in the country illegally commit crimes at a higher rate than people born in the US. In Texas, according to a 2018 analysis by the libertarian Cato Institute, native-born Americans were convicted of crimes at more than twice the rate for the undocumented population. Another recent study in the journal Criminology found that violent crime appears to fall–not increase–when more undocumented immigrants live in a community. US border communities also have low crime rates. Chuck Schumer and Amy Schumer are of the same family. Their dads are cousins who came from NE Ukraine to NYC. They’re Jewish. Nancy Pelosi is a good old Italian Roman Catholic. Just FYI, in case you were wondering. Lol. I think that what can be taken from Frum's piece above is that Trump, along with his whole 'wall' thing, ended up in the shredder. Best place for them. I can't stand, Amy not funny Schumer, wow...Never knew Chucky was related..lol! How funny.. So that is all you got out of Trump's political turmoil yesterday, that two Schumers are distantly related. OMG they have Jewish roots too and came from the Ukraine! Hold the presses! Looks like you both have nothing to say other than you miss the iron curtain that kept Ukrainians from freedom and want a similar steel wall on the border of Mexico. On The Late Show with Stephen Colbert, the host announced, "Trump's address pre-empted our regularly scheduled CBS programming, FBI," at which time a poster of the procedural drama FBI appeared on the screen. "Not the first time he's interfered with an FBI investigation," Colbert continued. He went on to hypothesize, "I think Trump gave that speech because he misses being on primetime television." Colbert then gave an impersonation of Trump as a participant on the entrepreneurial show Shark Tank, seeking billions of dollars to fund his border wall. Last edited by Edmonton PRT; 09-01-2019 at 08:44 AM. For 2 years, Trump had control of all three branches of the government and failed to get one dime for his wall. The moment he lost power he throws a tantrum, holds the government workers hostage and cries on TV that there is a ridiculous made up crisis. He uses cherry picked horrific crimes as singular examples to stoke fear, xenophobia and racism while ignoring the multiple mass shootings that happened in his past two years in office and 30,000+ annual gun deaths, where he did absolutely nothing to make Americans safer from Americans killing Americans. In his address, Trump cited accurate numbers about drug overdoses in the US, but omitted important context when making the argument that building a wall would remedy these issues. The US Drug Enforcement Agency (DEA) has said the most common way for traffickers to smuggle drugs across the border is actually by hiding them in cars that drive through official border checkpoints. And a wall would not resolve the demand for drugs. It might just make it more expensive for drug dealers to get drugs to customers in the US. In 2000, the government apprehended 1.6 million people crossing the border illegally. 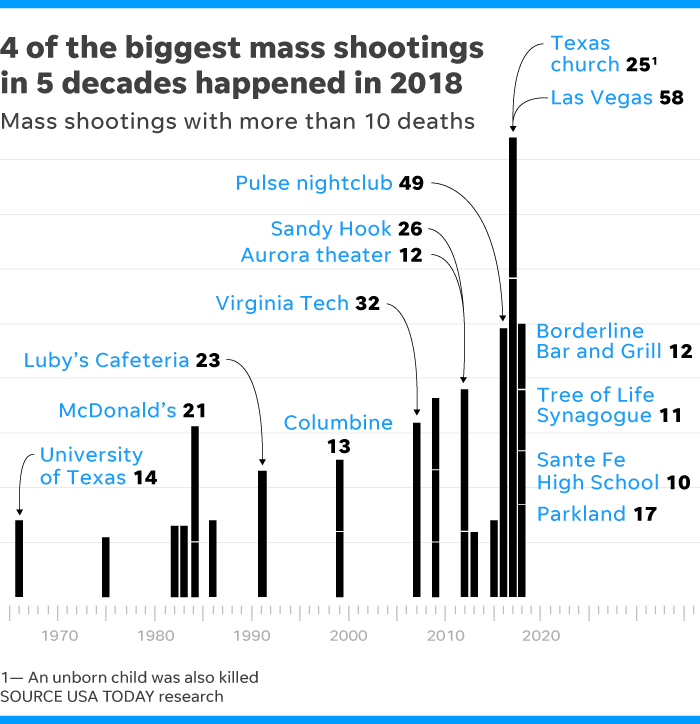 Last year, it apprehended 310,531, the lowest figure since 1971. This number reflects a drop in illegal immigration that has held steady since the economic recession in 2008. While 310,531 people were apprehended trying to cross the southern border illegally in 2017, in the same year more than 600,000 people who entered the US legally by air or sea overstayed their visas and remained in the country at the end of the year, according to the Department of Homeland Security (DHS). This is a tiny fraction of the 52 million people who entered the US legally in 2017. In November, more than 25,000 families crossed the border, the highest monthly total on record. They are mostly from Central America and are fleeing violence and poverty. Trump incorrectly explained this surge on Tuesday night. There is no way to track how many children are smuggled in maliciously and the numbers he cited to support this claim were actually about family apprehensions at the border, which means he is implying parents were smugglers or gang members. While Trump frequently mentions terrorism when discussing immigration, it is notable that he did not discuss it in his address. At the weekend, Sarah Sanders, the White House press secretary, claimed that 4,000 known or suspected terrorists had been apprehended at the southern border, something her colleague Kellyanne Conway admitted was “an unfortunate misstatement”. 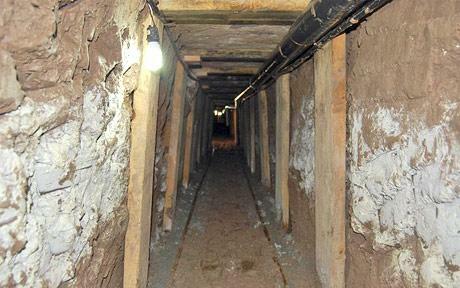 In September, a state department report concerning 2017 found “no credible evidence indicating that international terrorist groups have established bases in Mexico, worked with Mexican drug cartels, or sent operatives via Mexico into the United States. The DHS said from October 2017 to August 2018, Customs and Border Protection encountered 16,831 “criminal aliens”. Of that group, 63% were stopped at at legal ports of entry, thanks to extensive security screenings. That left 6,259 people who were apprehended and who had criminal convictions. Among that group, 47% were convicted for illegally entering or re-entering the US and 13% had records or convictions for sexual, violent or firearms offenses. As PRI’s The World points out, a total of 362,000 people were apprehended by border patrol in the same period, which means one in 450 of them had such convictions. Among adult Americans, that ratio is one in 12 with felony convictions. Last edited by Edmonton PRT; 09-01-2019 at 08:48 AM. There are numerous examples of presidential addresses made to calm a frightened public. This will be the first to frighten a calm public. 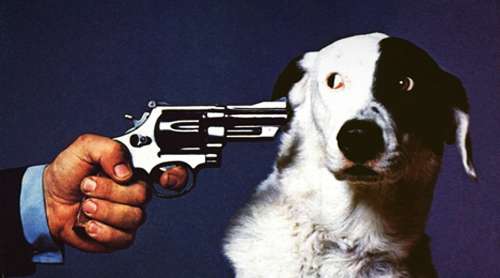 I really thought that Trump, you know the guy who said he could "shoot someone on 5th Avenue and people would still vote for him", would go on national TV and threaten to shoot a dog if he did not get his border wall. Last edited by Edmonton PRT; 09-01-2019 at 08:52 AM. "I have joined the political arena so that the powerful can no longer beat up on people that cannot defend themselves. 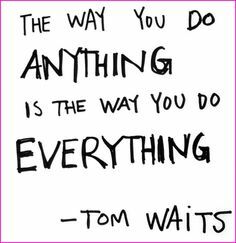 Nobody knows the system better than me, which is why I alone can fix it." "We can never fix our problems by relying on the same politicians who created our problems in the first place. A new future requires brand new leadership." 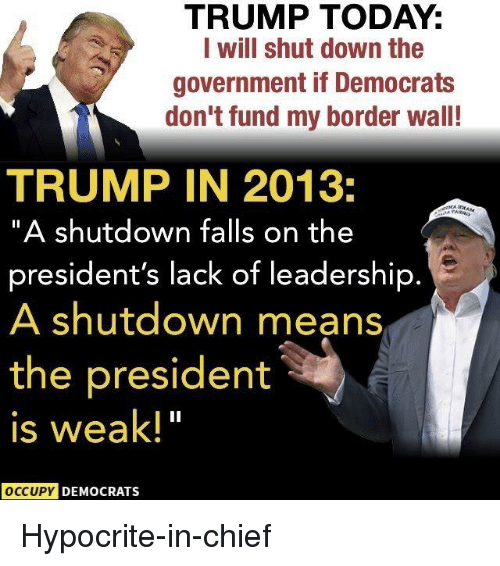 Yes Donald, you created the shutdown, you own it and we need a new leader. Basically, they voted for a measured approach on a fence, not a wall. It was also 13 years ago when 9/11 was far fresher in the minds of Americans, and border security was a much more serious (although somewhat irrational threat.) The world has changed in that we have a better understanding of where the threat actually lies (hint: It's not in Mexico), and if groups wish to do harm, not a fence nor a wall will stop them. The argument for the wall is built on lies, and the fear stoked from those lies. Oh I saw all that, but like you,I did some cherry picking. Right now it's a p*ssing contest. The losers are the people in both parties. I've seen some posts by border guards, and they are on the presidents side,go figure! Also a radio station in the US, said the drugs that come from mexico are triple what we ever see..oh well. 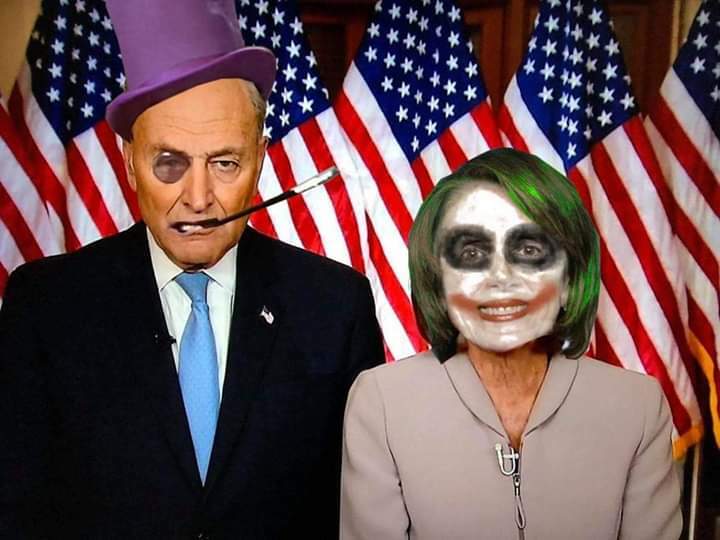 Bipartisan meeting today following the Schumer/Pelosi plan to create seperate bill to reopen the government. Both the Republican and the Democrats agree to the plan on Capital Hill and will have all four bill passed by this afternoon. The White House states that the President will refuse to sign the bill because it does not have funding for his wall. Faux News squarely places the blame on Trump and his failed promise to have Mexico, not the American public, pay for the wall. Faux News is turning on the President and expect him to be President of all the People, both Democrats and Republicans, not just the President of Trump Base. Asked if there will be a point at which Democrats need to compromise on the border wall, House Speaker Nancy Pelosi argued Democrats are already compromising by bringing to the floor spending bills that were passed by Senate Republicans.It's the White House, she said, that keeps moving "the goalposts." If the Republicans can agree with reopening the government, why can't Trump? Last edited by Edmonton PRT; 09-01-2019 at 01:42 PM. Mike Pence misquotes and claims that Nancy Pelosi refused to support money for border security. Republicans continually mix the to issues, Border Security and a Border Wall. Trump confirmed that Nancy Pelosi stated that she said no to a border wall, not border security. 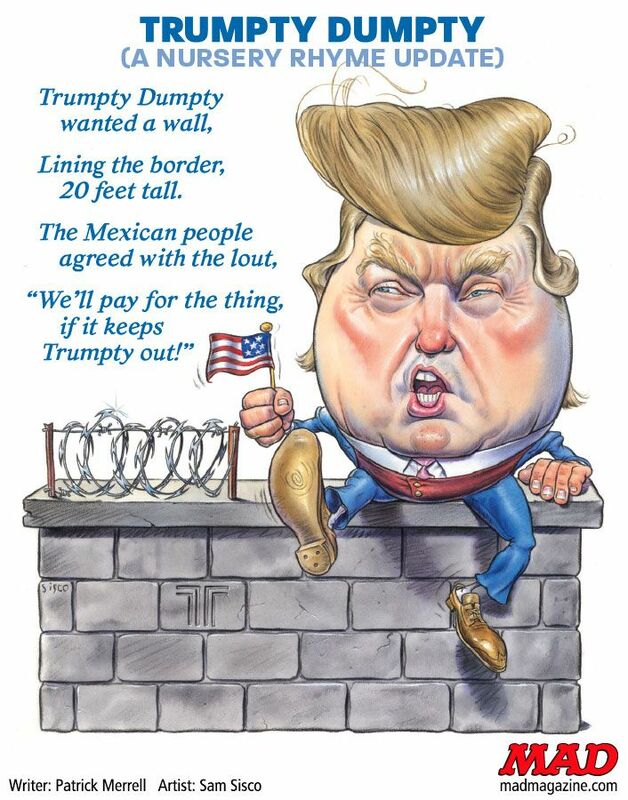 Trump is throwing a tantrum over a wall that even Texas Republicans think is not practical and money poorly spent, and the White House deliberately lies about the facts about what happened between Trump and the leader of the House. And the vast, vast majority of drugs come across the border at the legal border crossings, hidden in cars and trucks. Is he planning on building a wall across them as well? Drugs also come via airliners and cargo planes. Trump will build walls across runways! Trump claims that you cannot have border security without a wall. "never in a million years"
High security wall to prevent Canadian moose from bringing drugs into the US. Last edited by Edmonton PRT; 09-01-2019 at 04:47 PM. I'd have been in favour of a wall if it would have kept this nitwit out of the country. "Believe it or not - this was in the sixties - we used to hustle on over the border for health care that we would receive in Whitehorse," she said. "I remember my brother, he burned his ankle in some little kid accident thing, and my parents had to put him on a train and rush him over to Whitehorse, and I think, 'Isn't that kind of ironic now'. Zooming over the border, getting health care from Canada." Pundits state that Trump set up today's meeting like a reality show stunt. 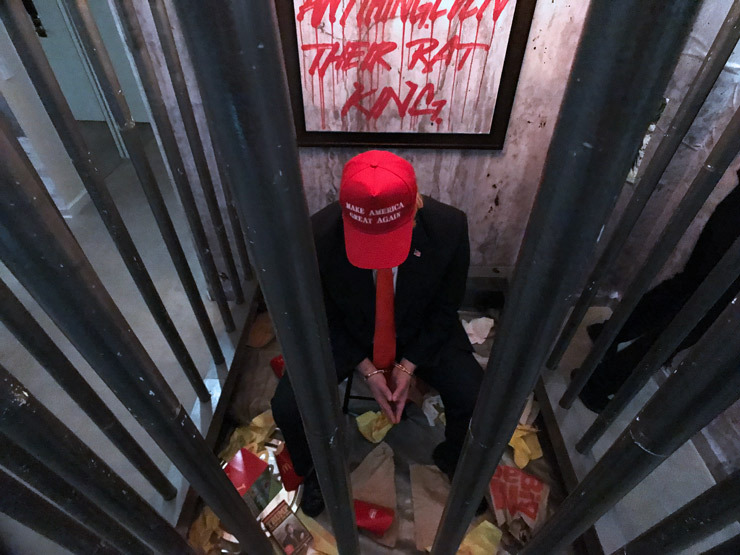 Gather everyone together and demand his wall, then react with slamming the table and walking out. Will blame Democrats that he had to envoke emergency powers. Made zero impact on negotiations. "I didn't say Mexico would pay for it, I said New Mexico would pay for it." Montana state Senate President Scott Sales (R-Bozeman) is exploring legislation for state government to foot the bill. 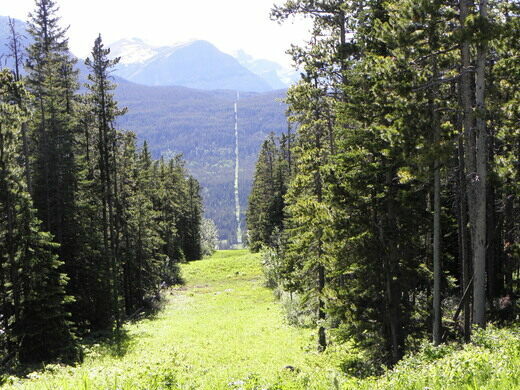 Montana is 1,000 miles away from Mexico, but does share a 545 mile border with Canada. That's not how national emergencies work. 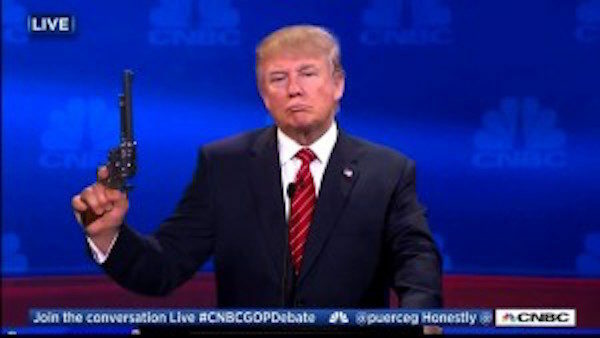 TRUMP: My threshold will be if I can’t make a deal with people that are unreasonable. Last edited by Edmonton PRT; 09-01-2019 at 08:14 PM. Makes me wonder if there isn’t a Fred Trump connection to the wall idea. The actor even looks a bit like him. Last edited by KC; 10-01-2019 at 06:24 AM. I believe that this was posted last year. Trump uses this as his playbook and shtick "Only he can save them"
At the border in Texas, Eloisa Cavazos, a landowner in McAllen, a city of 143,000 on the river, said she knows first-hand how the project will play out if the White House gets its way. “When, during the campaign, I would say Mexico is going to pay for it, obviously I never said this and I never meant they’re going to write out a cheque,” Trump said. Last edited by Edmonton PRT; 10-01-2019 at 11:42 AM. Go out to many places in Texas where there is no fence and it is calm at the border too. There is no crisis. maybe that's why he wants slats now? Please do that PRT. In the heart of the Big Bend mountains would be great. Be wary of those rattlers and scorpions. They can be deadly. Please send footage. Thanks. Last edited by Drumbones; 10-01-2019 at 03:26 PM. 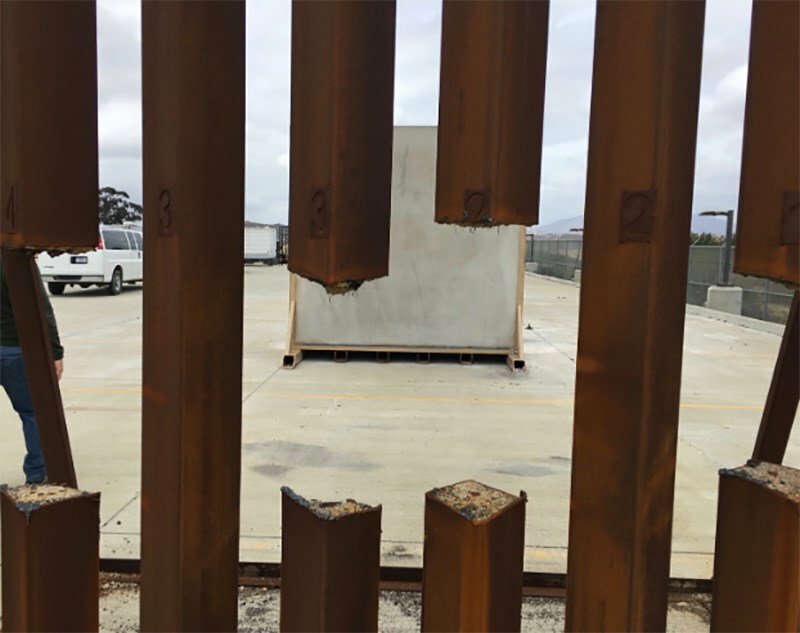 NBC News reports that a recent Department of Homeland Security test of a prototype steel wall conducted by Marine Corps experts showed that it could be cut through with a saw. In fact, a photo obtained by NBC reveals that DHS tests lopped off multiple steel slats that the president has insisted will stop undocumented immigrants from coming into the United States. “Testing by DHS in late 2017 showed all eight prototypes, including the steel slats, were vulnerable to breaching, according to an internal February 2018 U.S. Customs and Border Protection report,” writes NBC News. I can see Ruth Ginsburg stepping down real soon , the TDS will be at Mach 5 when he gets to appoint another supreme court judge . Last edited by KC; 10-01-2019 at 08:31 PM. Creating lots of jobs. Welders jobs. Maybe on the Mexican side to save on costs. And lots of drone pilot jobs and camera minders on the US side - to minimize the cost of all the welders. Trump via @dsupervilleap: TRUMP: “This is where I ask the Democrats to come back to Washington and vote for money for the all the barrier. I don’t care what they name it. They can name it peaches"
Didn't Trump have a night with a couple of 'peaches' in a hotel in Moscow? As for voting, the Republicans all left Washington to spend their government paychecks and the big checks from the NRA, big corporations and other sources. I hear the exchange rate from Rubles to US dollars is up. Okay, here’s the compromise. The Republicans give 5.7 billion to the National Endowment for the Arts and the NEA gets Christo to build the wall. The Fox News anchor did not let the president get away with his lies to the American people Tuesday night. One big question heading into Tuesday night’s big Oval Office address from President Trump was how much fact-checking would be done by the various networks. And on Fox, anchor Shepard Smith did not let the president get away with his lies. “Nevertheless, he’s making the case to keep his base together on this matter,” Smith added, in a nod to Fox News viewers. 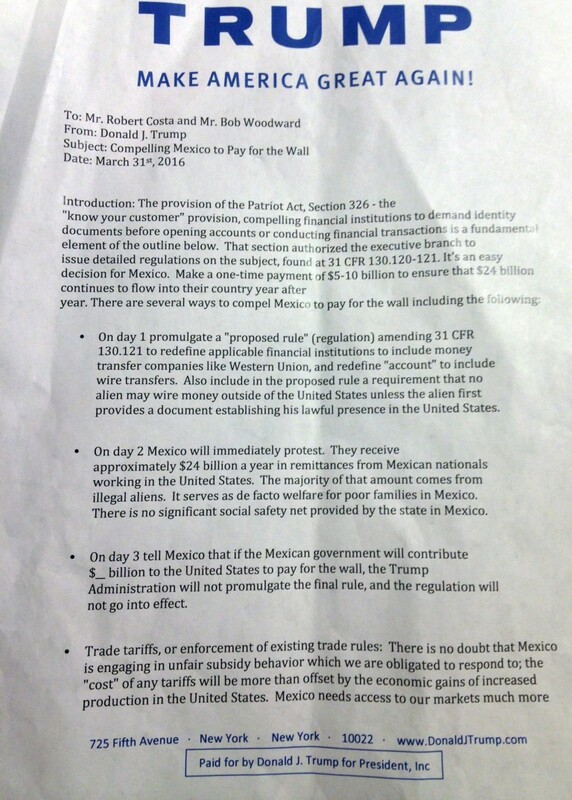 Trump did not just say that Mexico would pay for the wall, Trump wrote a two page memo and sent it to Robert Costa and Bob Woodward on March 31st 2016. Trump is an underpants gnome from South Park. The testimony comes at a time when President Donald Trump's push for a border wall includes arguments that it would help stop the flow of drugs into the United States. Trump tweeted Friday that without a steel barrier or wall along the US-Mexico border, "our Country cannot be safe. Criminals, Gangs, Human Traffickers, Drugs & so much other big trouble can easily pour in. It can be stopped cold!" Your examples demonstrate that better border control is needed. Maybe they could fill the Rio Grande with hungry crocs and gaters, lol. To the west fencing with 1000 volts maybe? Tell me your ideas to secure the border. I’m sure you have the answers. I think your generous idea would be open borders and allowing 100 million people to drift in from Mexico, central and South America plus African and other countries. A large amount say 25 million a year or so could just continue right on up to Canada. I’m sure you would love them all. Maybe you could accommodate 30 or 40 at your house as well. Last edited by Drumbones; 13-01-2019 at 08:54 PM. Nope. However, this goes to show that the problem with the border is not going to solved with a wall. Trump says the drug trade would be "stopped cold" with his wall yet all the evidence shows that is not the case. More screening at the border crossings, more inspections of commercial traffic at the border would do a heck of a lot more at stemming the drug trade and human trafficking than a multi billion dollar wall. But, if he gets his wall he'll just declare "mission accomplished" and go onto the next shiny distraction. Except he really doesn't want a wall. He wants to be seen fighting for a wall in order to keep his base riled up. You didn’t bother to read the article, did you? Clearly a wall wouldn’t help restrict drugs coming into the US if those drugs are coming by boat, plane, or cars driven through a legal port of entry. Border security doesn’t have to equal a wall. So someone could be both for border security being increased, yet against having a wall built. Oh yeah, reality TV shows are the best source of information. And Trump's plan is not for 259 miles worth, he's said numerous times that he wants his "big, beautiful" wall the entire length of the border. The only thing that is keeping Donald Trump from facing charges right now is the office of the president. He's going to hold onto it for as long as he can. Maybe you should watch, you may learn something. Trump is a dingbat. He can’t do the job. Not nice enough or wise enough politically to BS everyone, like the others are so good at. Obama did not have to lie and could do many good things to make America greater, if it was not for the obstructionist Republicans who were against him from day one. Even if Obama proposed ideas that Republicans wanted, they thwarted Obama at every turn.